Real science is based on the scientific method that uses repeatable, observable, and empirical experiments. 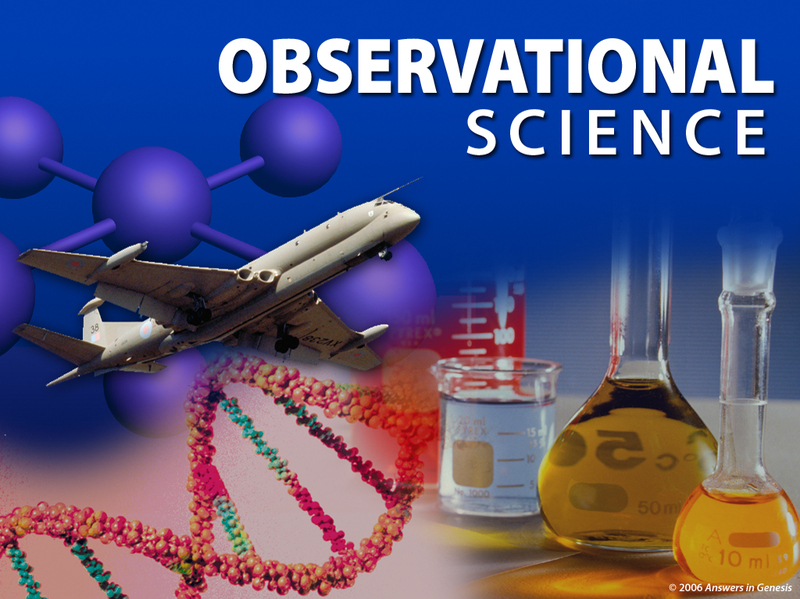 Operational science was used to develop technology, synthetics, and medicine. 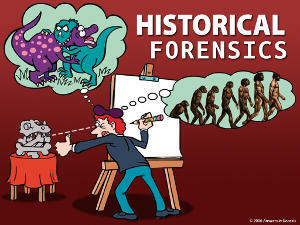 Forensics is used to draw a picture of a past event by examining eyewitness testimony or circumstantial evidence. Our beliefs will cause us to have different interpretations of the same evidence. 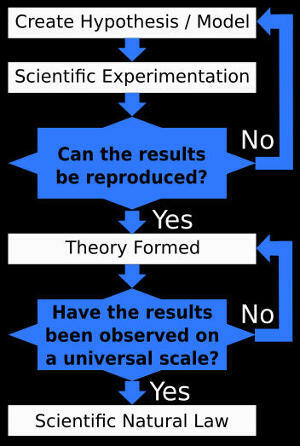 If the results cannot be repeated, then it is not a scientific theory. Since fossils do not come with a date of burial or genealogy, we interpret the evidence within our own worldview. Archaeologists, geologists, biologists, and astrophysicists observe the way the universe operates today, but they cannot know what happened in the past without an eyewitness. 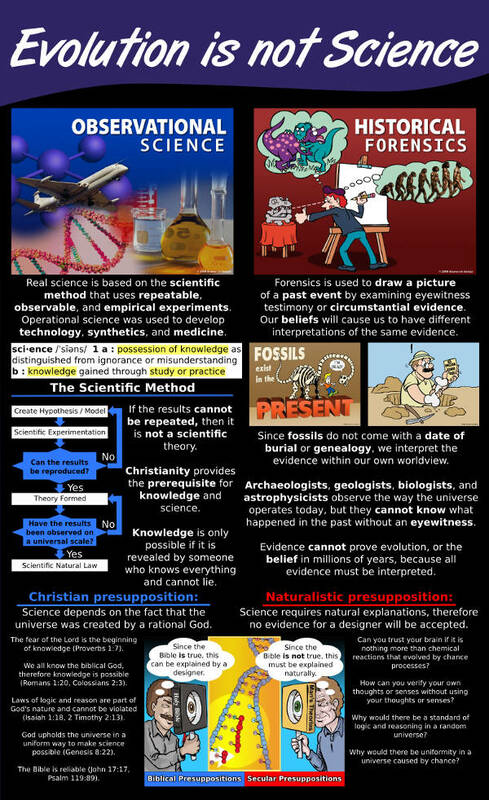 Evidence cannot prove evolution, or the belief in millions of years, because all evidence must be interpreted. Science depends on the fact that the universe was created by a rational God. We all know the biblical God, therefore knowledge is possible (Romans 1:20, Colossians 2:3). 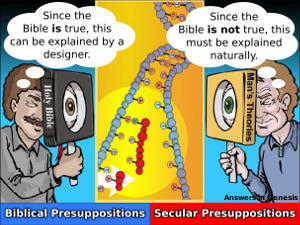 Laws of logic and reason are part of God's nature and cannot be violated (Isaiah 1:18, 2 Timothy 2:13). God upholds the universe in a uniform way to make science possible (Genesis 8:22). The Bible is reliable (John 17:17, Psalm 119:89). Knowledge is only possible if it is revealed by someone who knows everything and cannot lie. Science requires natural explanations, therefore no evidence for a designer will be accepted. Can you trust your brain if it is nothing more than chemical reactions that evolved by chance processes? How can you verify your own thoughts or senses without using your thoughts or senses? Why would there be a standard of logic and reasoning in a random universe? Why would there be uniformity in a universe caused by chance?